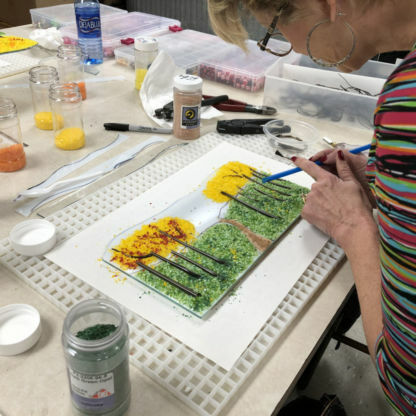 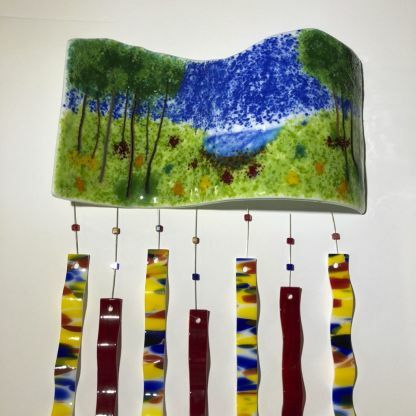 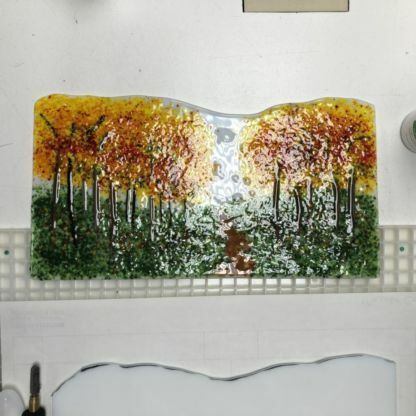 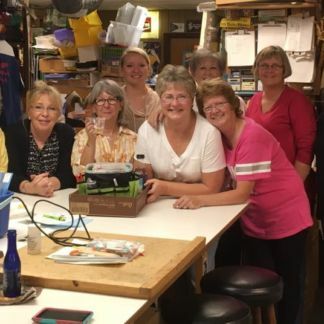 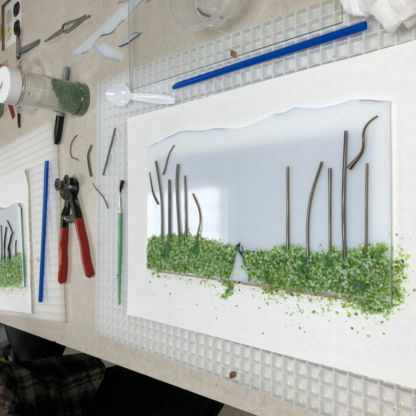 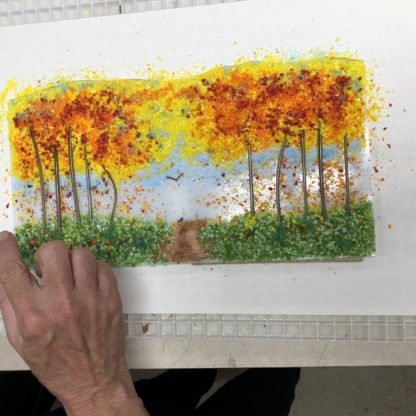 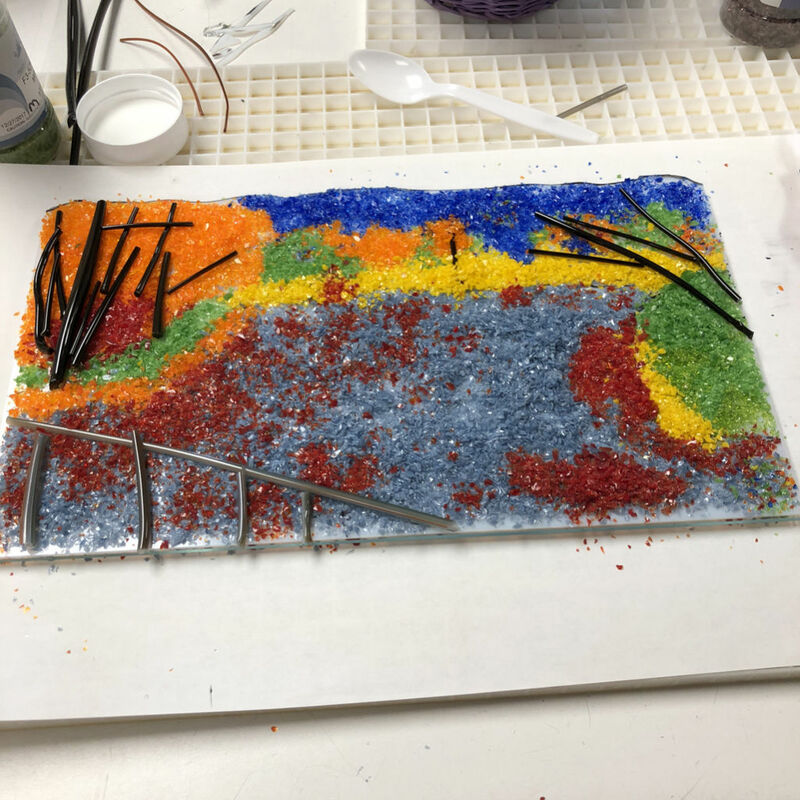 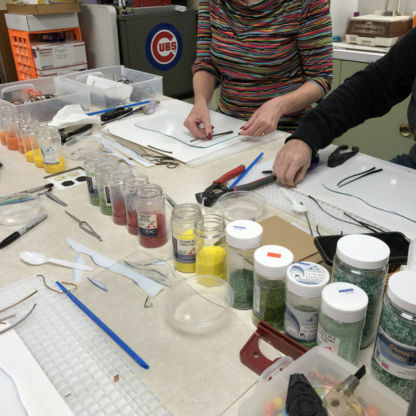 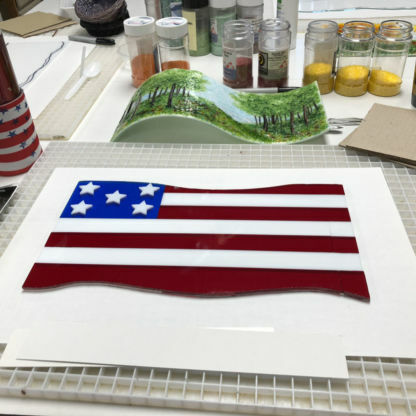 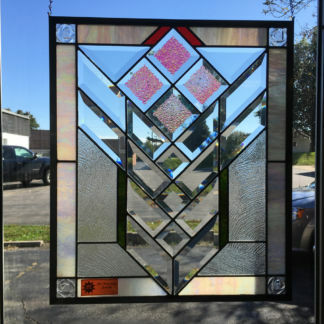 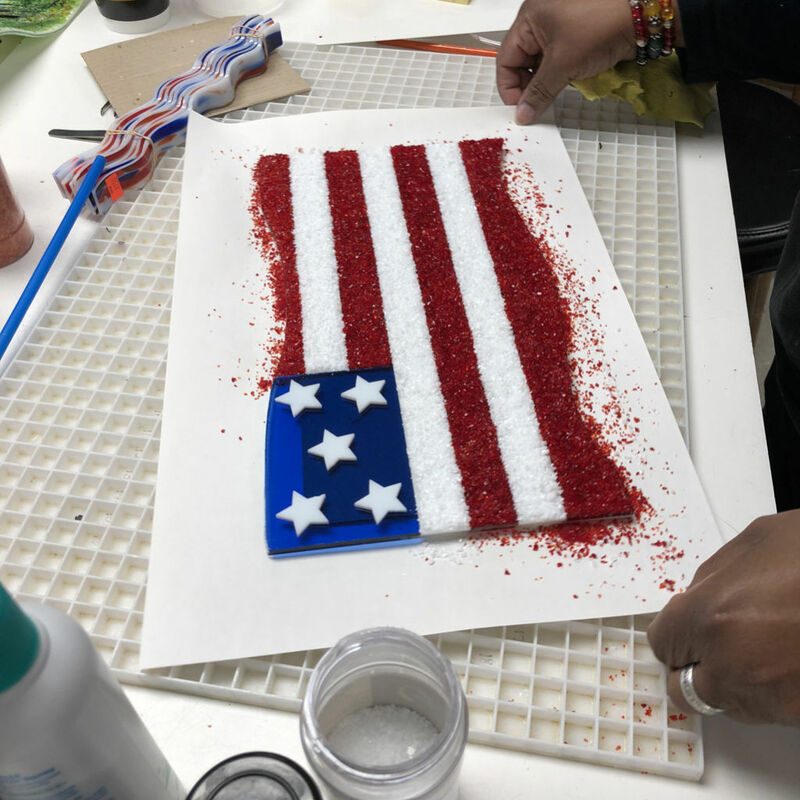 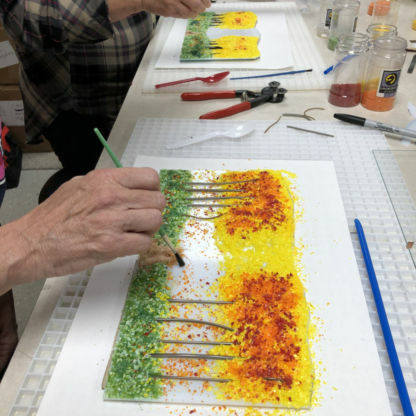 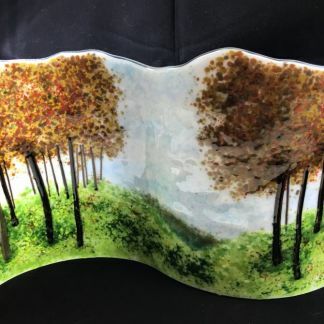 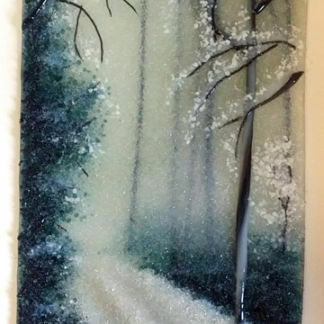 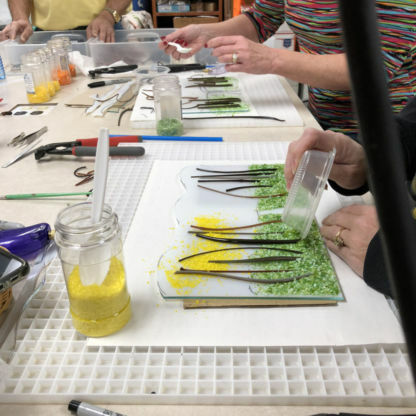 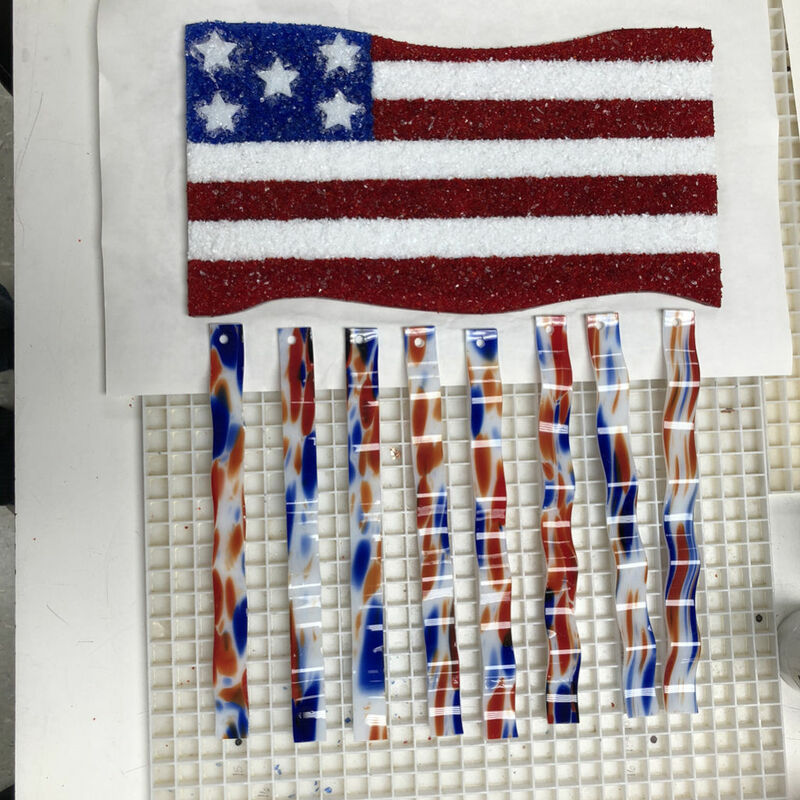 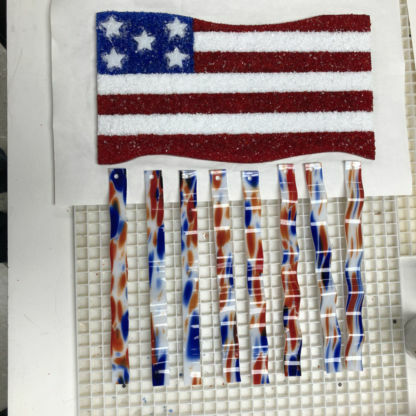 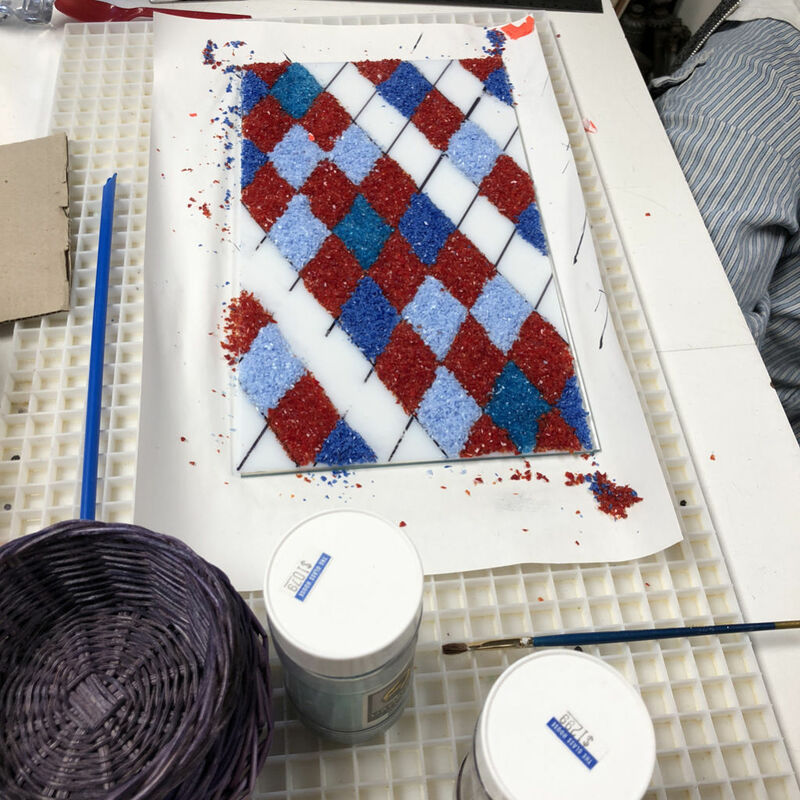 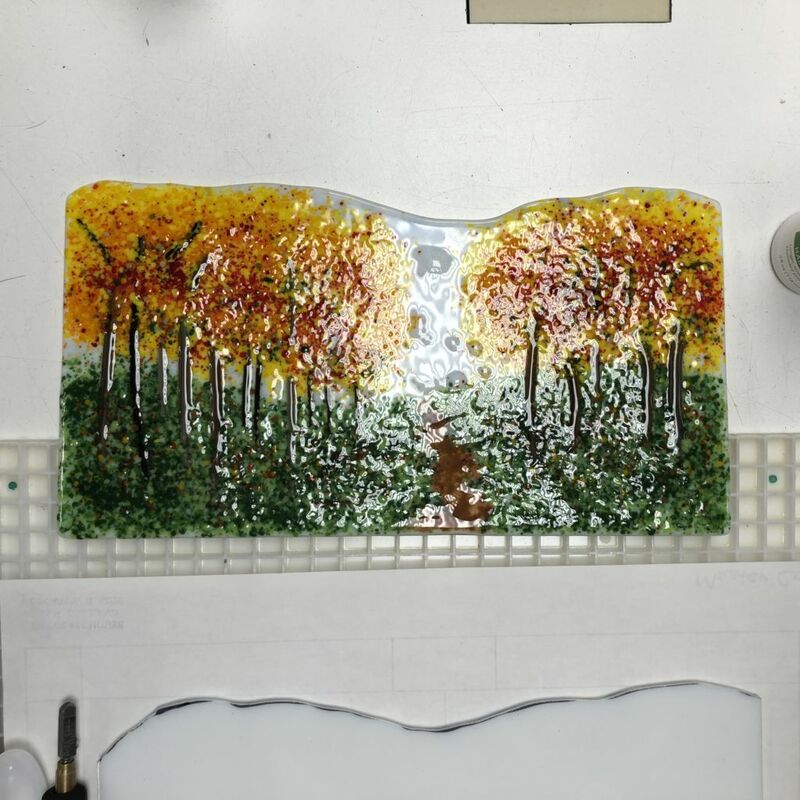 Create a fabulous Fall Scene using Vitrigraph Strands and Glass Frit! 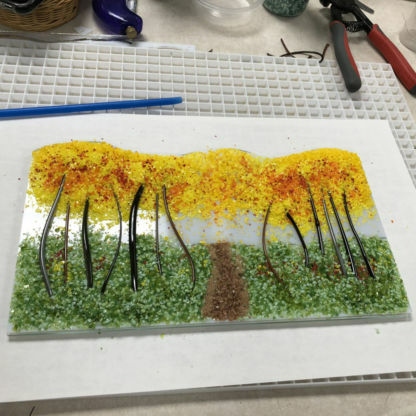 You will choose from a variety of Vitigraph strands to create your landscape. 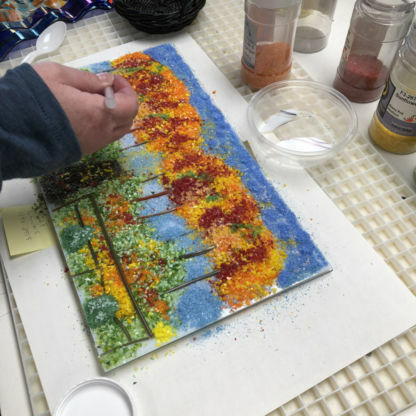 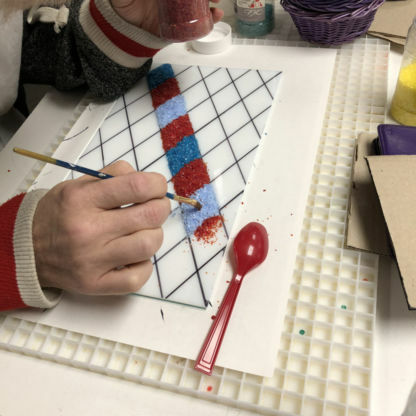 Then you will “paint” with Frit and create your masterpiece! 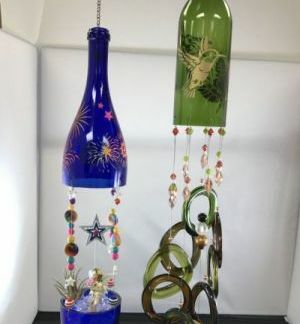 You will also see how easy it is to drill holes and finish off your wind chime.